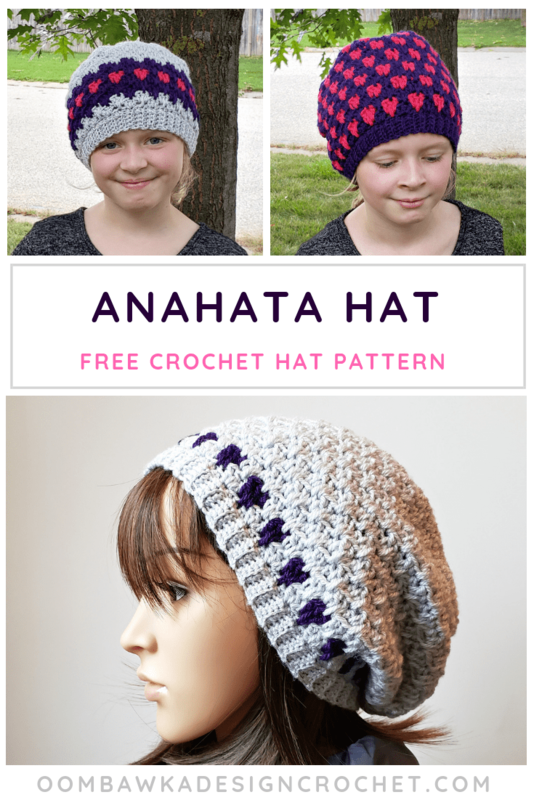 This post includes my Anahata Hat Pattern. This free pattern is available in 11 different sizes. The Anahata Hat is my contribution to the 2018 Holiday Stashdown CAL. LoveCrochet sent me the yarn I used for this pattern. This post includes affiliate links. If you make a purchase after clicking on an affiliate link, I may receive a small commission for the referral at no additional expense to you. 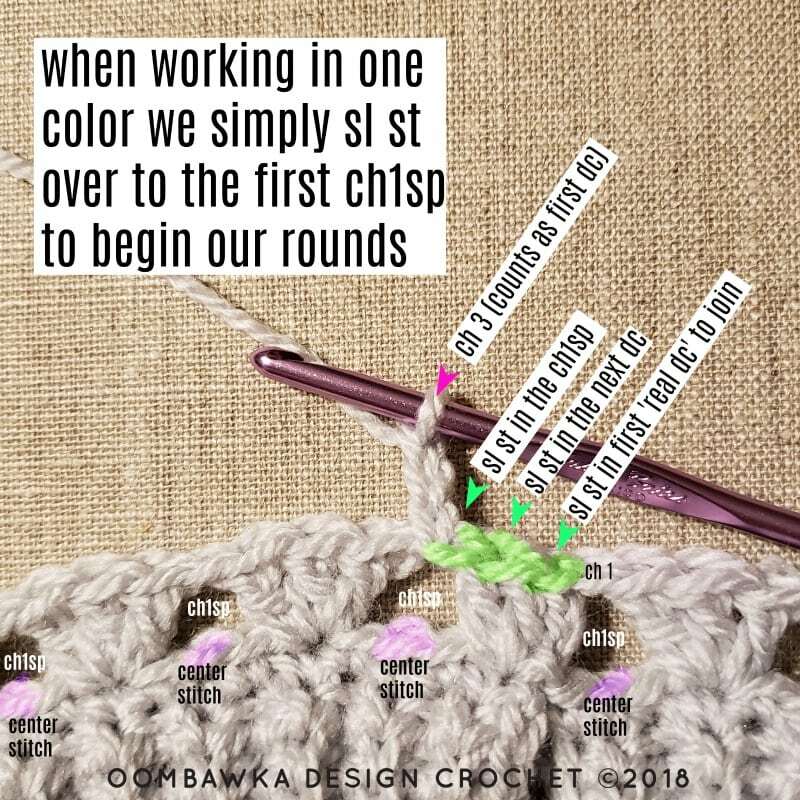 Welcome Crocheters! Today I am sharing my newest free crochet pattern which is available in 11 different sizes. This pattern was created specifically for the 2018 Holiday Stashdown CAL. 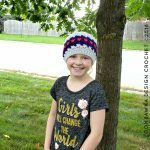 Please visit Marie’s post to find out how you can participate in our end-of-CAL giveaway by crocheting this hat pattern! 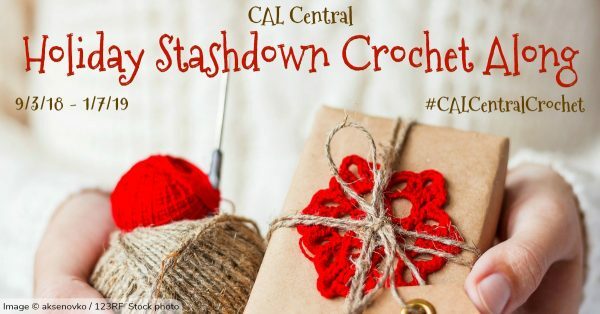 Be sure to tag your posts with #CALCentralCrochet, #HolidayStashdown, and #lovecrochet when you share them online! When you use LoveCrochet yarns be sure to use @lovecrochetcom too! If you want to crochet with our crochet gang please join us join the CAL Central Facebook group or the CAL Central Ravelry group. You can also check out LoveCrochet for more information about the CAL and the yarns we are using! The Anahata Hat is beautiful when crocheted in one solid color. It is also lovely when crocheted in more than one color. Simply by changing where you make your color changes you can transform the hat completely. I have included images of 4 of the hats I have crocheted with this pattern and each one is different. I’m not sure which is my favorite! The pattern includes shaping instructions to make the hat follow the curve of the head. If you would like it to be more slouchy simply work additional rounds of the repeat section before beginning the shaping instructions. I chose 3 pretty colors from the LoveCrochet Paintbox Simply DK line to make these designs. This yarn is lightweight and beautiful to work with. The colors are bold and bright and the yarn is soft to the touch. The yarn did not split while I was working and even though I frogged and restarted a number of times before coming up with this finished design, the yarn did not fray or lose it’s stitch definition. It held up very well to my unraveling and reworking. This is the very first time I have tried Paintbox Yarns and I’d like to thank LoveCrochet for giving me this opportunity to try their product. The finished hats are designed to reach the base of the earlobe (nape of the neck) when pulled down. They can also be worn back on the head as a slouch hat and since they are shaped to the curve of the head, they do not have a lot of excess fabric weighing down the back of the hat. 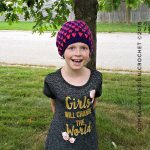 These lovely lightweight caps will make great chemo caps too. There are no large spaces between the stitches and the length allows you to cover the hairline completely. Yarn: Paintbox Yarns Simply DK. 3.5 oz and 302 yds (276 m). 100% Acrylic Yarn. DK / Light Worsted Weight Yarn . Machine wash cold; tumble dry, normal, low heat. Hook: 4 mm (G). I used this hook. Please see all the size measurements listed in each section below. This hat is includes sizes preemie to adult large. 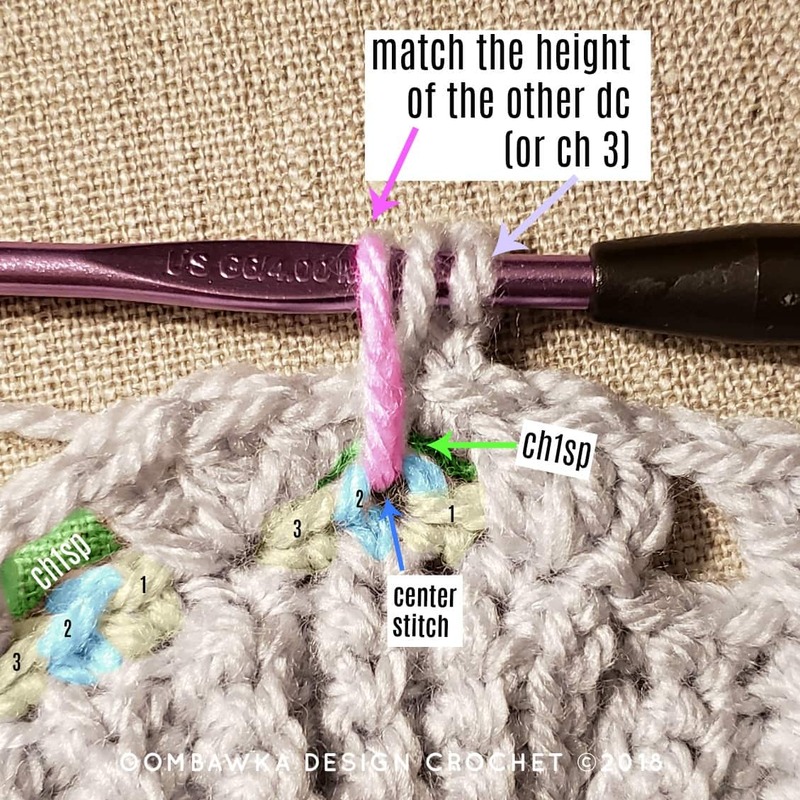 The long dc is worked the same as a regular double crochet except you need to adjust the height of the stitch to match the height of the current round of stitches. The long dc is being worked into the center stitch beneath the ch1sp from the previous round. The center stitch is the second stitch in the set of three sts that were worked 2 rounds previous. Yarn over the hook, insert the hook into the stitch or space indicated (2 rounds previous), yarn over and pull up one long loop. 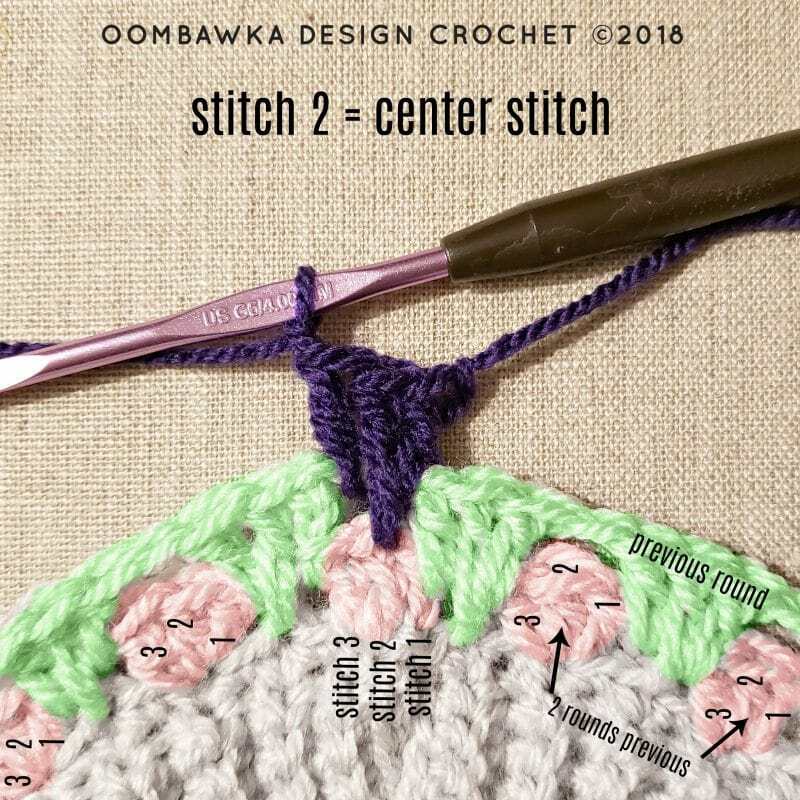 Allow this long loop to come up to the same stitch height as the current round of stitches. Yarn over and pull through 2 loops. Yarn over and pull through the remaining 2 loops. Step 1: Yarn over, insert hook into the center st 2 rounds before (beneath the ch1sp), yarn over and pull up 1 loop (to the same height as the other dc stitches). Step 2: Yarn over and pull through 2 loops, yarn over and pull through 2 loops. We count the initial ch 3 as 1 dc BUT do not join into it at the end of the round. Instead, join into the first ‘real’ dc you worked. 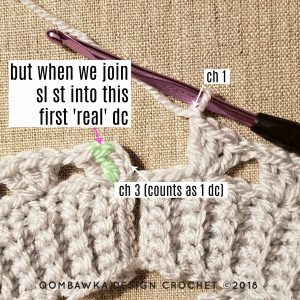 Sl st does not count as a stitch in the row end counts. When the pattern indicates to work into the center dc, found 2 rounds before, if you have a slip stitch in that dc already, simply crochet into that sl st as the center dc. The hat band is seamed using a simple whip stitch technique using the yarn end you left at the beginning of the pattern. Step 1: Finish off color 1. 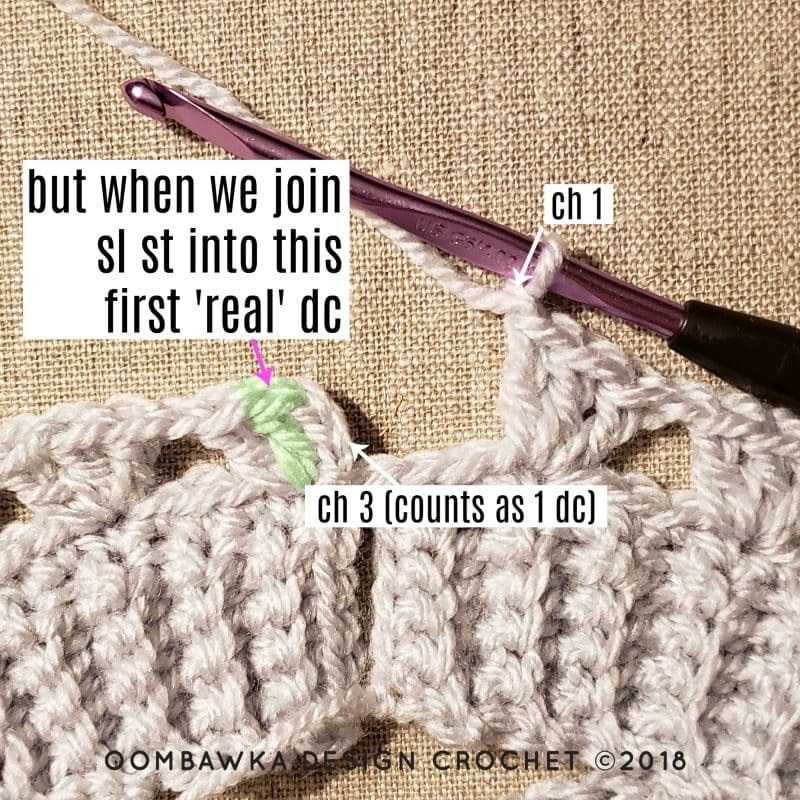 Step 2: Join new yarn with a standing dc OR sl st and ch 3. The pattern is written as though you are working in a single color of yarn. To make color changes, after you slip stitch to join at the end of a round, finish off the color. 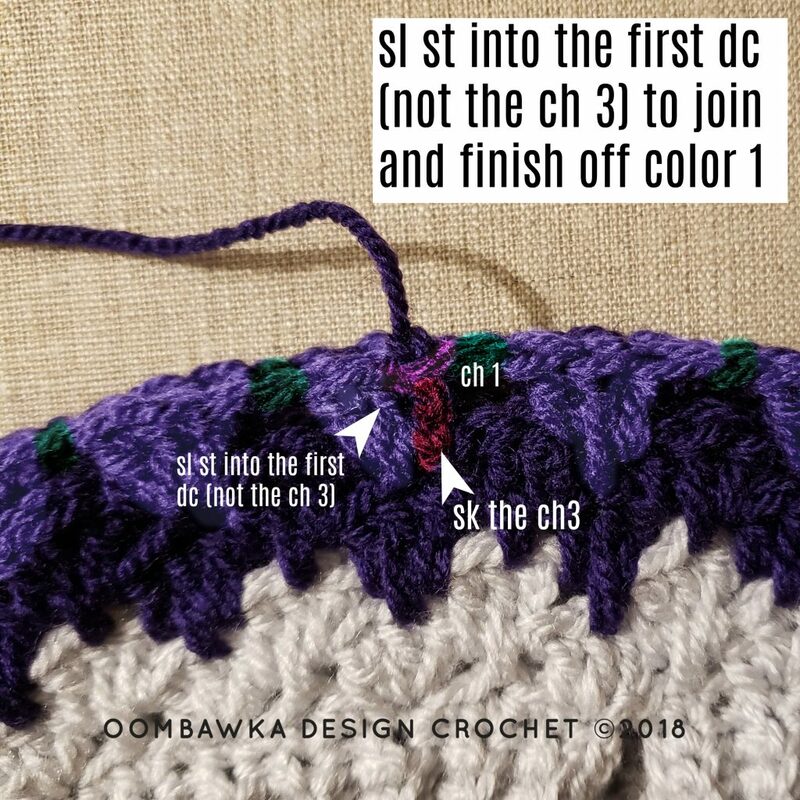 Join a new color of yarn in the next ch1sp with a standing dc. 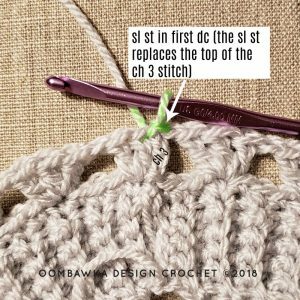 You may substitute a slip stitch to join and ch 3. This will then count as the first dc of the round. So, when we change colors and join directly into the ch1sp we don’t need to slip stitch over to it. So you will Skip: “Sl st in the next dc, sl st in the ch1sp.” Then follow the pattern as written until you decide to change colors again. The hat is worked from the band to the crown in one piece. We begin by crocheting the band, back and forth in rows and then move to the body of the hat. The body of the hat is worked in joined rounds. The top of the hat is cinched closed using this technique and we seam the open edges of the band with a whipstitch seam using the yarn end you left at the very beginning of the band. To fit 11-12 inch head circumference. Hat height approximately 4 inches. The hat is crocheted from the ribbed band to the crown of the hat in one piece. We begin by crocheting the band, which is worked back and forth in rows. 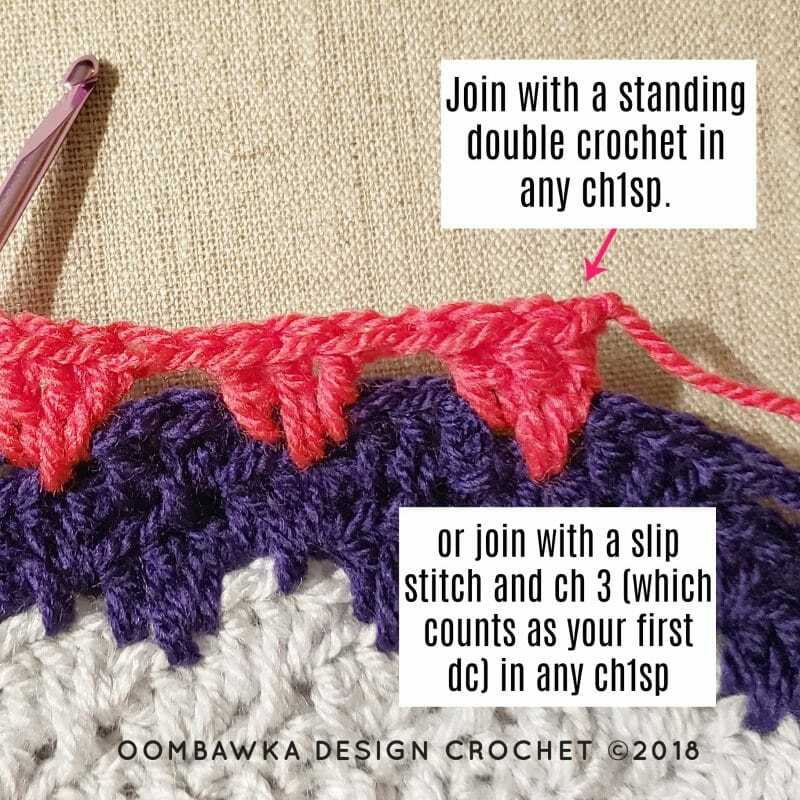 Rotate your work to crochet across the top of the band (the row edges). We are working the main body of the hat next, which is worked in joined rounds. Hat Shaping Section (we are decreasing the hat to fit to the top of the head). Whipstitch the band edges together using the 8-10 inch yarn tail you left at the beginning of the pattern. To fit 13-15 inch head circumference. Hat height approximately 5 inches. To fit 14-16 inch head circumference. Hat height approximately 5.75 inches. To fit 15-17 inch head circumference. Hat height approximately 6.25 inches. To fit 16-18 inch head circumference. Hat height approximately 6.75 inches. To fit 17-19 inch head circumference. Hat height approximately 7 inches. To fit 18-20 inch head circumference. Hat height approximately 7.5 inches. To fit 19-21 inch head circumference. Hat height approximately 8 inches. 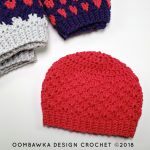 Teen (Adult Small) Size Hat Pattern. To fit 20-22 inch head circumference. Hat height approximately 8.4 inches. Adult (Medium) Crochet Hat Pattern. To fit 21-23 inch head circumference. Hat height approximately 9 inches. 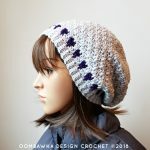 Adult (Large) Crochet Hat Pattern. To fit 22-24 inch head circumference. Hat height approximately 9.25 inches. 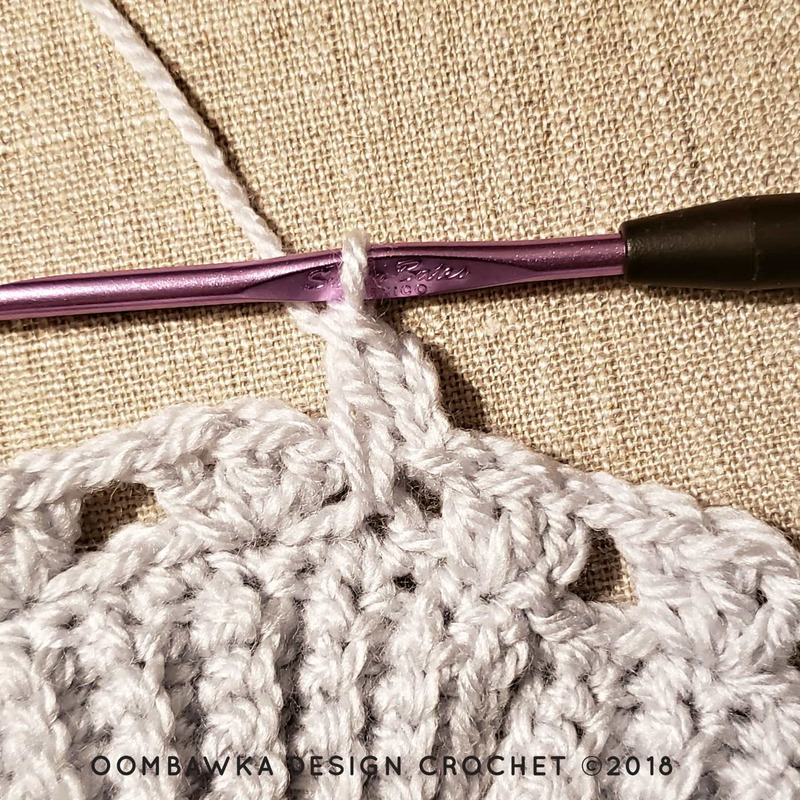 I’d like to thank LoveCrochet for providing the yarn used in this post. For more information about LoveCrochet, visit them on their website, Instagram, Facebook and Pinterest. Such a gorgeous hat, thank you for sharing! Lovely hat pattern. Just a thought though, on the pattern. I’m trying to print and it’s a good 20 pages! You give amazing detailed instructions, but for people that have crocheted for years, in my case a good 55 yrs, It would be great to have a print option that has 1 picture and remove all the details that aren’t needed for a very experienced crocheter. It would be nice to be able to print on just a few pages. Even if all the size ranges are included, it should be able to be printed on about 8 pages, maybe less, I’m guessing. Is this possible? Thank you!